Keeping your wheels aligned helps keep your car running its best and can keep everyone in your car safer while providing a more comfortable ride, so the best advice is to check out the latest wheel alignment specials for a high quality, professional tire alignment. No one should continue to drive when their wheels are not aligned right because when wheels are out of alignment, it affects everything from the car’s balance to the car’s accurate steering, handling and performance. When wheels are correctly aligned, the best benefits are better steering with no drifting, longer lasting tires that wear more evenly, and smoother driving even in the most challenging conditions. People also find that they save money with fewer tire replacements and less fuel used because of less friction on the road. In the long run, saving money is one of the best benefits noticed by consistently keeping vehicles in top-notch condition. 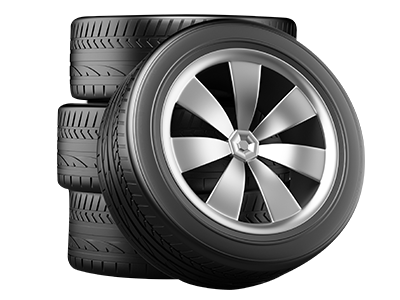 Our professional technicians are fully certified to perform wheel and tire alignments. All measurements including thrust angle measurements, toe, camber and caster measurements will be performed meticulously to be accurate. A high level of accuracy is critical since enhanced safety and better performance are the main benefits of having your wheels aligned correctly. Computer technology is used to ensure that all adjustments are done so the angles match the exact specifications for your vehicle. Technicians will also check the vehicle suspension, steering systems and the condition of your tires, and they’ll make sure the air pressure is correct. They’ll let you know if you have any problems beginning to develop. If any worn parts need to be replaced, you’ll be well-informed of your options. When you drive away, you’ll have complete confidence in all the work done by our expert technicians. 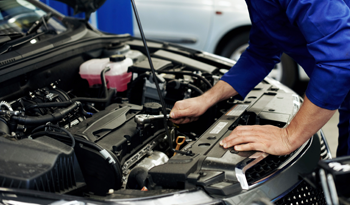 Our technicians are certified, well versed and professionally trained to work on all models and all makes of vehicles. Tire and wheel alignment service done by a dealership is always the best option to be sure it’s done right, and that all parts used are high quality parts that will wear well and last, returning your vehicle to like new condition. You’re assured that the parts we use are original equipment manufacturer parts (OEM). This gives you peace of mind that you’re getting high quality, original caliber parts for your vehicle. You already know that these parts perform exceptionally well, so there’s no guesswork on your part. Original equipment manufacturer parts are usually preferred over aftermarket parts since they are the exact parts that were made by the vehicle’s manufacturer and they’re the parts used originally in your vehicle. With aftermarket parts, there is an element of guesswork involved, and there can also be a lot more variation in quality and styles of aftermarket parts. Aftermarket parts may not be warrantied, where many types of OEM parts are covered with a warranty. Choosing to have your tire alignment done by our certified technicians using original equipment manufacturer parts is the best way to contribute to the long life of your vehicle.